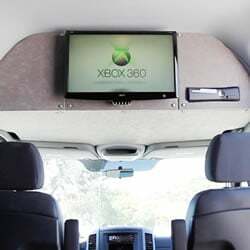 Since 2003 we have been renting first class passenger vans with video, DVD, videogames, Wi-FI, power outlets and more. 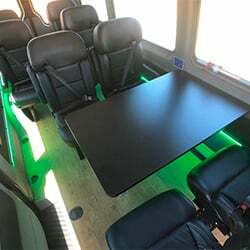 Bandago is the undisputed leader in passenger van rental, with locations all over the USA delivering customized and stylish passenger vans. Check out our new location in Atlanta, Georgia! Many companies provide you bare bones vehicles with no options, and then hit you on the backend with hidden fees and costs. Some will even switch you to a cheaper vehicle type when you pick up by relying on the dreaded "or similar" language. Bandago rental vans are loaded with extra options designed to deliver a great driving experience, we are completely transparent with our pricing and policies, and we tell you exactly what size, make, and model of van you will be getting. We have offices all over the USA so no matter where you are traveling we are close by, and offer additional services including delivery, WiFi, free 24/7 roadside service and more. Rent a van from us and see the difference! Our flagship Sprinter is the cream of the crop when it comes to van rental. Comfortable seating. video games, and on-board Wi-Fi, this is the way to go if you want the best. Our 15-passenger Transit configuration is designed for maximum passenger comfort with a much higher roof than other companies offer. Great middle ground for comfort and value. 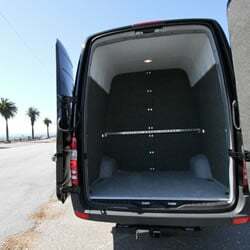 When you need to reliably move large groups of people at the lowest possible cost these 15-Passenger vans are a great solution. Yes, of course they have video screens too! Tens of thousands of touring bands, celebrities, families on vacation, businesses, churches, sports teams, mobile marketing events, film/TV productions and more have chosen Bandago for their van rental needs. Need us to bring the van to you? Or have us pick it up from somewhere else? No problem! Call us and we'll make the necessary arrangements. We offer tow hitch rental. Put your equipment in a trailer, or your kids. NO don't put your kids in the trailer. We're kidding! No kids in trailers please. Bass players are ok though. Looking to rent a blimp? Click on the blimp logo above and check out our groundbreaking blimp rental service. You don't have to worry about wild bears when renting our vans. We inspect all of our vehicles and guarantee they are bear free. Maybe? If your van starts floating away, please use the included anchor and we will send our floating van retrieval team to recover your vehicle. Additional fees may apply. If you need binoculars to find your next van rental then look no further. OK that was bad. You probably didn't see it coming though. Focus next time! Ack... Stop us! Did you know many of our vehicles offer on-board WiFi? 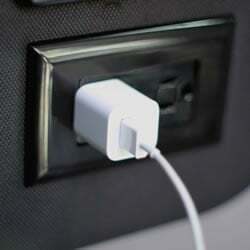 And all of our vans have power outlets to keep those laptops, phones, iPads running during your trip. If you run an ice cream company, and your name is Ben or Jerry, and you want to name a flavor after us, we can offer you a discount on your next rental.